MSC Divina offers your typical cabin types including interior, ocean view, balcony, and suites, but also different levels of “experiences”. These experiences- Bella, Fantastica, Wellness, and Aurea- offer additional amenities such as access to more desirable room locations, complimentary 24 hour room service, spa packages, drink packages, and more depending upon the experience level you pick. 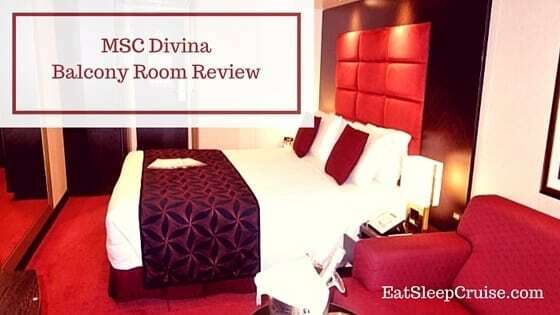 On our recent 3 day Bahamas cruise, we stayed in a balcony room with the current Fantastica package and put together our MSC Divina Balcony Room Review to let you know all about our experience in this cabin category. 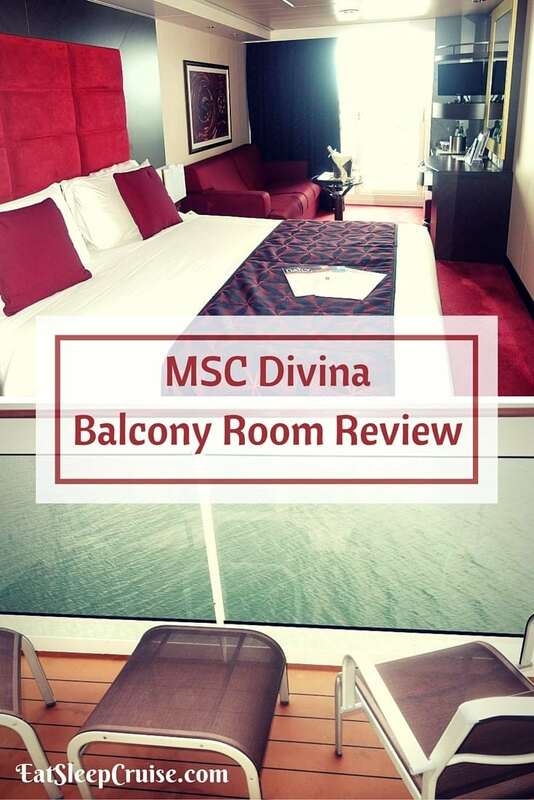 For our last minute July 4th getaway, we were grateful enough to be hosted in an MSC Divina balcony room on Deck 10, Giunone, with the Fantastica Experience. This package entitled us to a better room location and complimentary room service during most hours. Starting in Summer 2017, this package will also include 12 drink vouchers good towards most non-premium drinks. Our stateroom, 10109, was conveniently located right next to the midship/forward elevators. The ship does have a series of elevators, but our location gave us easy access to the theater and forward lounges, as well as quick access to the center of the ship on Decks 5, 6, and 7. Upon entering our MSC Divina Balcony Room we noticed the clean, yet simple furnishings and layout. Unlike some of the bright colors and patterns found on other cruise ships, the subtle darker tones of the cabin complimented the styling found throughout the rest of the ship. The bed is located in the center of the room. You need to pass by it to get to the sitting area and desk, but the space was adequate to maneuver. Prior to sailing, the Princess had registered with the MSC’s Voyager Club. 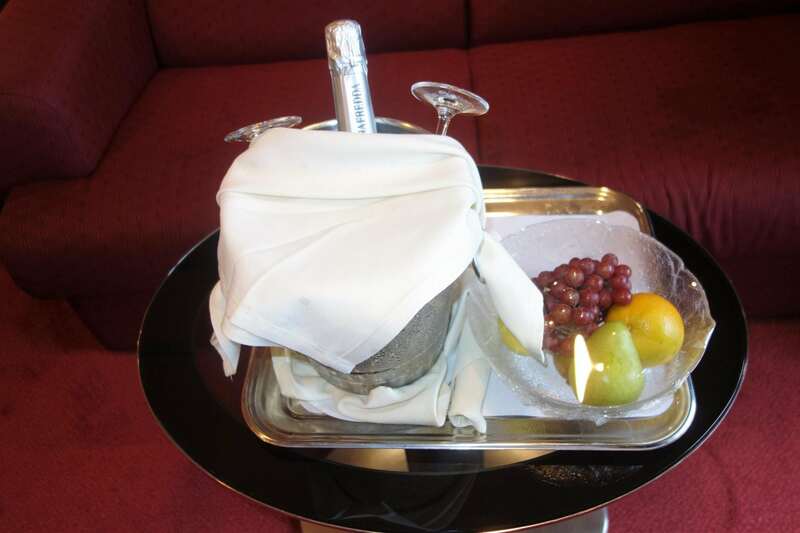 Taking advantage of their Loyalty Match program, we entered the ship with a gold status, which included a fresh fruit basket in our stateroom. Our Events Manager, Pietro, was kind enough to also included a bottle of champagne as a welcome aboard gift. Our boarding documents indicated that the room was approximately 167 square feet, which felt on par to most balcony rooms on other cruise lines. 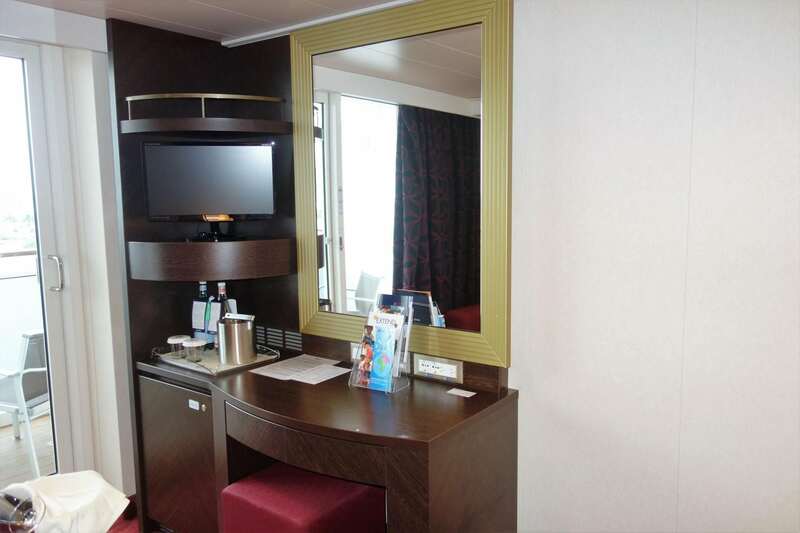 Set-up too was very similar, with the bathroom off to one side as you entered the stateroom. 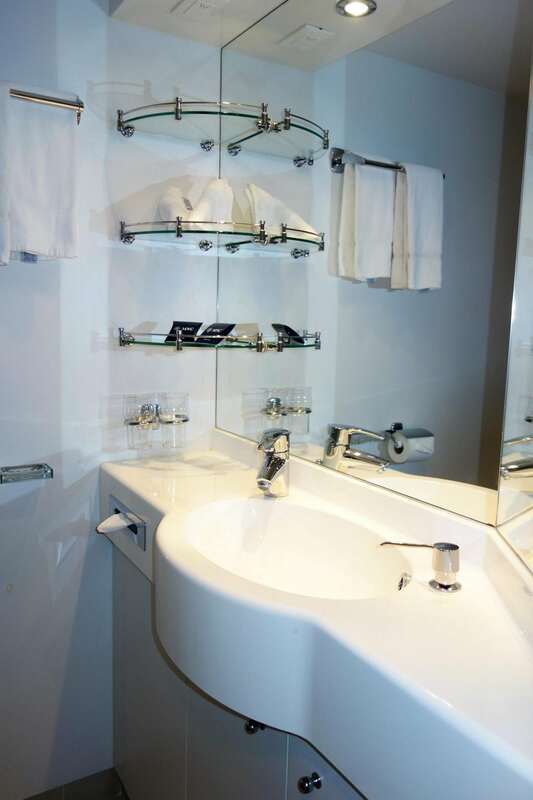 As we all know, cruise ship bathrooms are nothing to write home about. Besides being slightly larger than other bathrooms, it felt like all the others we have seen in the past- but the Princess did miss not having a foot bar in the shower for shaving. The shower door set-up was a bit different too as they could fold both in and out. The closet, which felt small for the size of the room, was across from the bathroom, making it a tight squeeze when getting ready. There were also limited hangers available. The closet area included a safe and a few drawers for storage as well. The location of the closet, though awkward, did allow for more space in the main area of the cabin, making the desk and couch feel more spacious compared to other sitting areas. We did miss the over the bed storage areas found in some other balcony rooms, and the desk had only one additional drawer and one shelf above the television for storage. The room included only two 110 outlets at the desk (good thing we brought our Belkin). We do love that newer ships have outlets/USBs near the bed, so we hope MSC’s newer ships will have the same. The room includes a stocked mini-refrigerator with soda, alcohol, and bottled water. 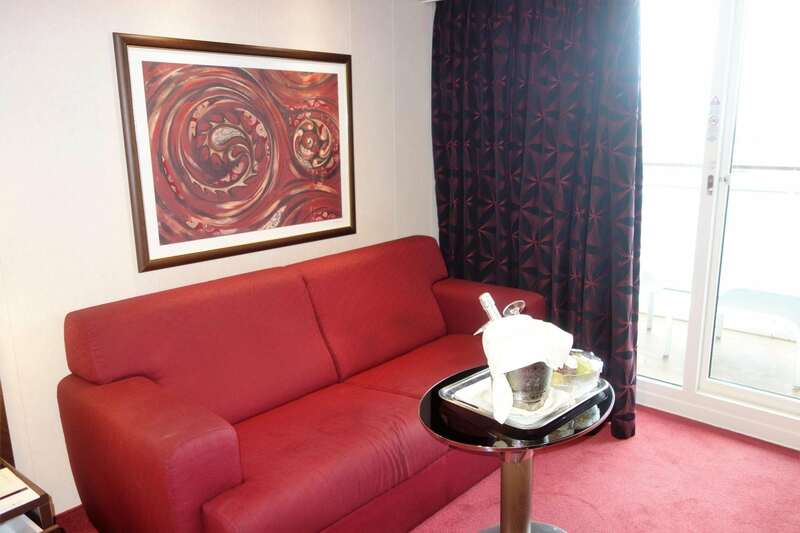 With the Premium Drink Package, all drinks from the mini-bar are included, along with other beverages and treats throughout the ship. For the price, this drink package seems like a great bargain. The balcony included two chairs and a small table. It was a tight squeeze to include the furniture and two adults on this balcony. Still, it was the perfect place to enjoy early morning sunrises and mid afternoon drinks. 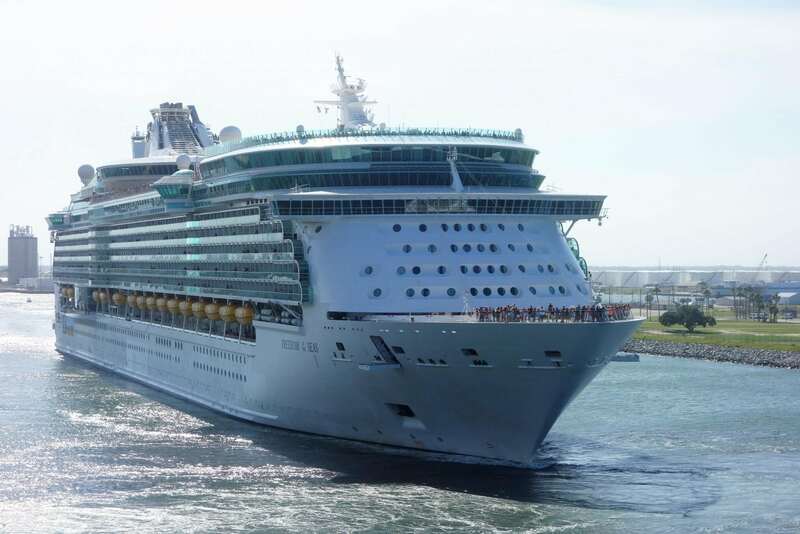 Plus, we were able to watch a number of ships sail right by us from the comforts of our stateroom balcony. 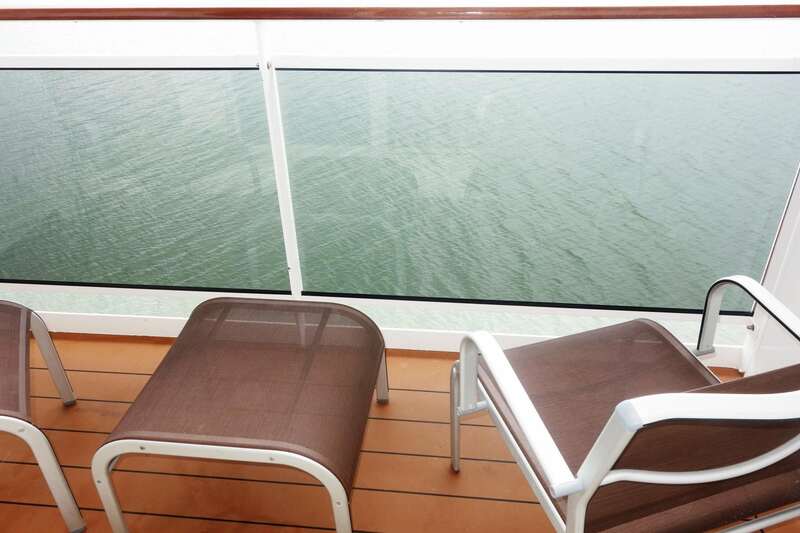 As staterooms go, the MSC Divina Balcony Room offers the size and features most cruisers expect to find in a room. We found the room layout to be manageable, although we could have used a bit more storage space. MSC Divina, along with most modern ships, now include an energy saving design requiring a room key to be inserted before you can manage the lights and/or air conditioning. The real payoff of an MSC Divina balcony room is the wonderful views- sunrises, sunsets, and sail ins at the various ports of call. Given the pricing, we would definitely book this category again. With the deals and promotions offered by MSC Cruises, you can often find a 7 night cruise with a balcony room, all inclusive drink package, WiFi, and a shore excursion per guest for less than $1,000 a person. That is the cost of an interior cabin with no additional amenities on other mega ships sailing in the region! 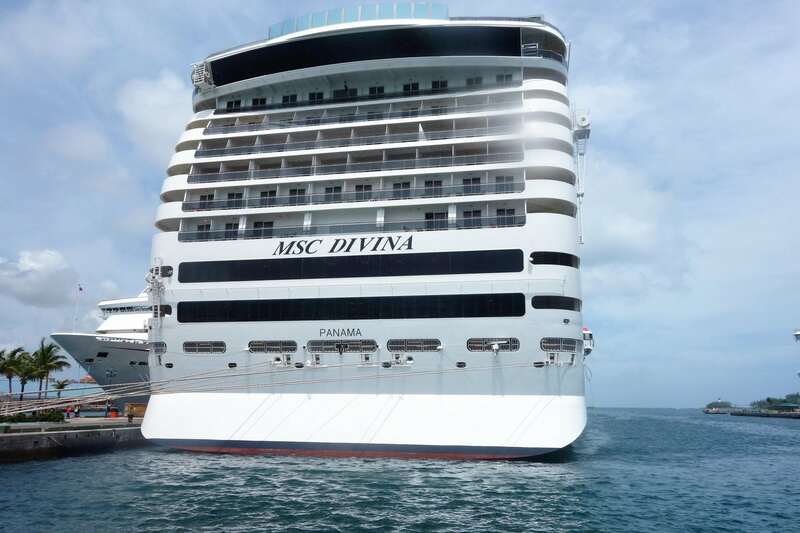 Have you sailed on MSC Divina in the Caribbean? 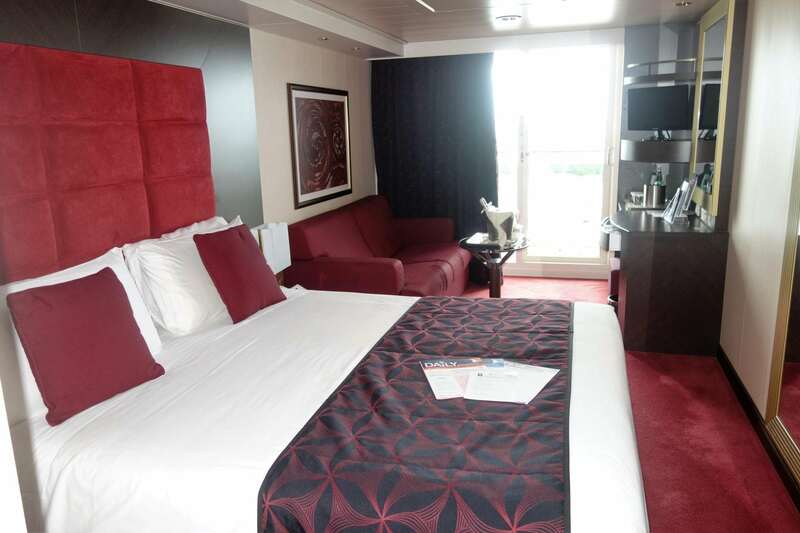 Which type of stateroom do you prefer when on a cruise? Drop us an anchor below to share your experiences and opinions about different cruise ship staterooms. Disclaimer: We were guests onboard MSC Divina, but as always, all opinions in this post are our own.